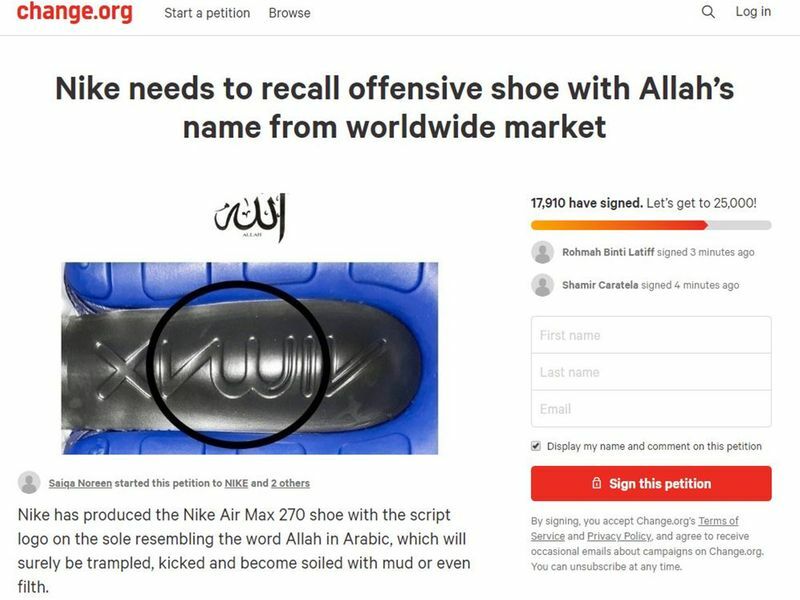 Nike Inc. is facing pressure to recall one of its leading brands of sneakers after a customer launched an online petition alleging the design on its sole resembles the Arabic word for "Allah." 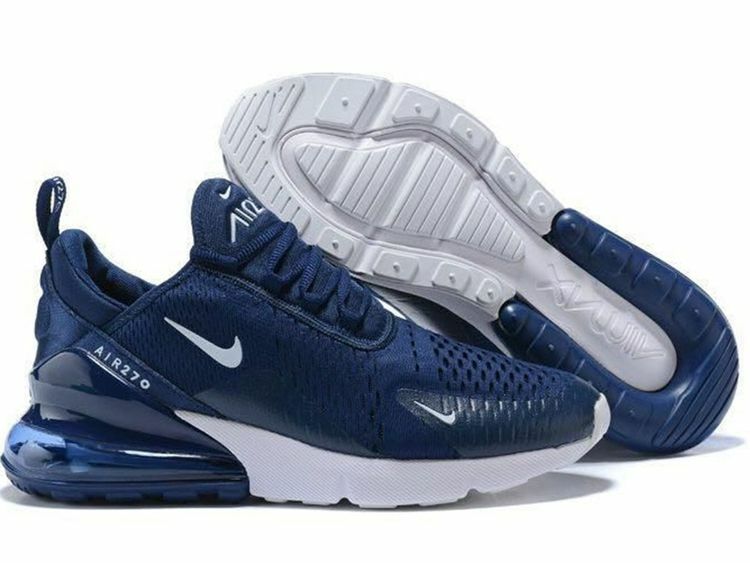 The petition said it was "appalling" to allow the name of god on Nike Air Max 270 shoes, which "will surely be trampled, kicked and become soiled with mud or even filth." The customer, Saiqa Noreen, asked Nike to recall "this blasphemous and offensive shoe and all products with the design logo resembling the word Allah from worldwide sales immediately." Nike said in a statement the logo was a stylized representation of the Air Max trademark. "Any other perceived meaning or representation is unintentional," it said. "Nike respects all religions and we take concerns of this nature seriously." Nike ran into a similar problem in 1997. The Council on American-Islamic Relations protested the company's logo on certain athletic shoes, saying it resembled the word "Allah" in Arabic script. Nike said at the time it regretted any misunderstanding, explaining that the logo was meant to look like flames and recalled a line of shoes. The world's largest sportswear company also faced criticism last year for its ad campaign featuring Colin Kaepernick that had initially rattled investors but had little fallout eventually. The NFL quarterback-turned-activist sparked controversy for taking a knee during the national anthem in protest of police brutality and racial injustice.